Readers of the Langwitches blog know the passion I have for sharing my work and own learning path around of 21st century,modern, contemporary, the “now” literacies with educators and students from around the world. Specifically, I am interested in contemporary upgrades and amplification of the curriculum, documenting for learning (from digital portfolios, digital storytelling, new forms of teacher observations, to building institutional memory), blogging as pedagogy, visualize learning and developing & maintaining a Personal Learning Network as a transformational professional development practice. I have been fortunate to be able to combine that passion with traveling and connecting schools, teachers and administrators globally. Now is the time to think about working with me for the 2015/2016 school year.Especially, if you are interested in going beyond “drive by” workshops, but are looking at a long term coaching relationship to support and mentor your faculty in contemporary learning (collaborative, connected, social, global, amplified, digital media infused self-directed, self-motivated) with evidence of learning from their classrooms. Contact me to schedule a (free) initial consultation. To view the full range of my keynote, workshop, blended coaching and webinar offerings, please take a look at my consulting website: http://www.globallyconnectedlearning.com, my work here on the Langwitches Blog or on Twitter. I have been a presenter and keynote speaker around the world on a variety of topics in the areas of 21st century contemporary teaching and learning, heutagogy, blogging as pedagogy, personal learning networks, digital storytelling, world language teaching, presentation design, visual literacy and globally connected learning. Keynotes: Let me help set the tone or kick off your conference or professional development day by sharing not just the big picture of the educational paradigm shift, but also concrete examples from the classroom. Workshops: Teachers need to live the new type of learning we wish for our students to experience. In my workshops, educators will get exposed to hands-on learning experiences with selected tools and modern literacy pedagogy. Contact me, if you are interested in having me speak or conduct a workshop at your next conference or in-house Professional Development day. Schools are struggling to keep up with the demands of curriculum design and upgrades to prepare students for modern skills and emerging literacies. Professional Development needs to offer opportunities for teachers to transform traditional experiences and redefine their own learning and in consequence their teaching practices. This consulting framework includes onsite consulting, job embedded instructional coaching and workshops, blended with online coaching, workshops and feedback in the areas of modern learning skills and literacies. Research, as well as anecdotal and personal evidence, has proven that a reflective learning culture is one of the best indicators to increase student learning. The blended coaching model uses“ Blogging as Pedagogy” as a deeply reflective year long learning opportunity to allow teachers to experience a shift in their learning and make documentation, reflection and sharing part of their practice. Embedded in this process are learn-by-doing technology skills that support the shift into a blended learning environment for ongoing lifelong learning habits and mindset. The model relies heavily on self-directed and self motivated professional learners to put new learning practices into action, document, reflect, receive feedback, and keep redefining learning in and out of the classroom. Cohort participants will be building a learning network, share their practices, successes and failures to benefit the school community, including parents, colleagues and students. Contact me, if you are interested in a finding out more about the possibility of starting to work with a cohort of educators at your school. For a cost effective alternative to bringing in a consultant, consider inviting me to support your teachers online. I am available for online 1:1 coaching, small group or large group professional development in the areas of modern teaching & learning. Please contact me, if you are interested in webinars or video conferencing via Skype, Facetime or Google Hangout. 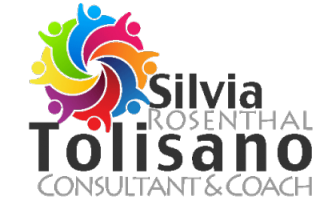 Take a look at a variety of topics I offer and schedule a (free) initial consultation. We will discuss your learning needs and customize a one-time coaching session or a series of online conferences to support your faculty’s learning journey.